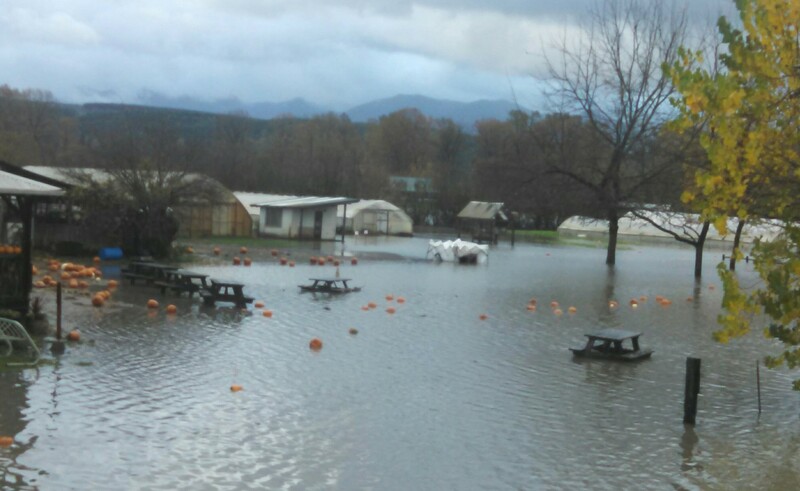 As you may have already heard, we had a huge flood on Halloween – we usually don’t get floods this early, and this particular flood came up quickly (for some news coverage on it, watch this Q13 video where Farmer David talks a bit about the damage). When we saw that the flood was coming up, we moved our animals to high ground and got equipment out of the way. We also harvested what we could during the morning, before the water got too high. Unfortunately, though, our harvest list had to change from what we had planned on Friday. I’m sorry for any inconvenience that may cause! Such is the unpredictable nature the weather this time of year.